→Suunto Traverse Or Traverse Alpha Or Ambit3 Sports Watches: Which One? Suunto Traverse Or Traverse Alpha Or Ambit3 Sports Watches: Which One? 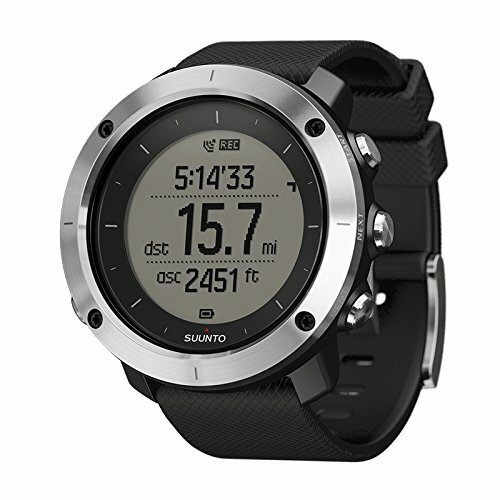 Since 2012, Suunto has released twelve GPS sports watches starting with the original Ambit. In addition to these distinct watches, they also have additional color, bezel, and glass configurations choices. Anyone looking to add one of these watches to their collection often has a tough time deciding which one to pick. However, we will focus on three of their outdoor sports watches the Suunto Traverse, Traverse Alpha, and Ambit3. It does help to start by figuring out what each watch has to offer and their differences to possibly make a sound purchase decision. The three sports watches measure up when it comes to providing peak performance, but there are still some differences between them. Suunto introduced their third generation of watches including the Ambit3 Sport, Peak, and Run in 2014. They maintain much of the functional aspects of the second generation Ambit watches. However, Suunto discontinued the Sport and Run models in, but you can still find them on sale. The Ambit3 watches stepped the game up with functional features including Bluetooth support, smartphone connectivity, and wireless data transmission. The timepieces are also compatible with a broad range of foot and bike pods, heart rate belts, and power meters. However, they are not compatible with the Ambit2 accessories that use ANT transmission. The Ambit3 Vertical came out three months later, and it offers the combined performance of the Ambit3 Sport and Peak watches. For example, it functions as a barometer much like the Peak, but it has the Sport’s battery life. Its main difference from the other Ambit3 watches is its design and hardware, and it features a markedly shrunk GPS antenna embedded into the bezel. Unveiled in 2015, the Suunto Traverse may not have an Ambit prefix but its very similar to the brand’s Ambit3 Vertical watch. It’s an excellent choice for the outdoors, but it isn’t exactly a sports endurance sports watch. There are five GPS models available in the line of Suunto Traverse timepieces including the Amber, Slate, Black, Graphite, and White. They come fitted with features like a barometer, GPS tracking and navigation, and Bluetooth chipset. 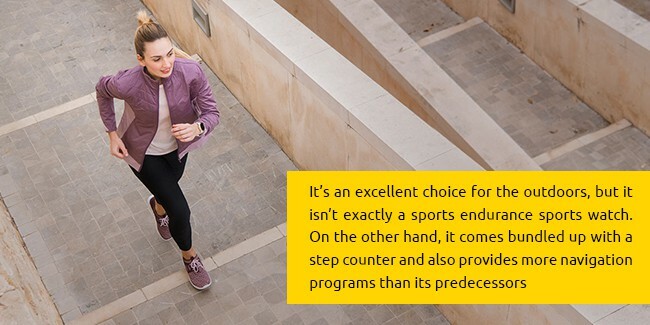 Unfortunately, it also doesn’t support foot and bike pods and offers limited functionality for monitoring runs, swims, and biking. On the other hand, it comes bundled up with a step counter and also provides more navigation programs than its predecessors. The Traverse Alpha comes designed as a fishing or hunting watch that offers peak performance. It comes bundled with some nifty features including an automatic shot detection, moon phase calendar, red backlight with night vision goggle support, and fishing/hunting specific POI types. The watch also comes with navigational features including GPS and coordinates mapping. It also has sunset alarms in line with keeping with the moon phase calendar. However, it doesn’t have much, if any, sports and fitness related features. It also doesn’t support connection with external sensors. Naturally, water resistance is an important feature to have mainly for the active individual. All of the Suunto watches we have reviewed come with this feature which proves useful particularly for the Heart Rate monitors to support activities like swimming. For a premium watch designed for survivalist activities or fishing and hunting, look no further than the Traverse Alpha. It features a red backlight that works comparably with night vision goggles, and it also has a moon phase calendar. The Ambit3 Vertical works best as a running, hiking, and general multisport watch. It provides a summary of all your vertical gains with altitude displays during ascents. Most of the Suunto watches support smartphone connectivity and displaying stats and allowing the user to change the timepiece settings via the Suunto app. You can also update your moves in real-time and save the data for later review. The Suunto Movescount app also allows to create a movie out of photos you take documenting your activities as well as 3D maps mapping your route. It provides altitude and weather information. There is a Heart Rate Monitor option. The watch comes with an inbuilt altimeter, compass, GPS, and barometer. It is 100 meters of water resistance. The watch is smartphone compatible. It supports adding photos to create a shareable Suunto movie. The Suunto Ambit3 Peak is an outdoor watch bundled up with features you need for your hiking or mountaineering adventures. It displays information about altitude ascents, route navigation, and weather details to guide you along the way. 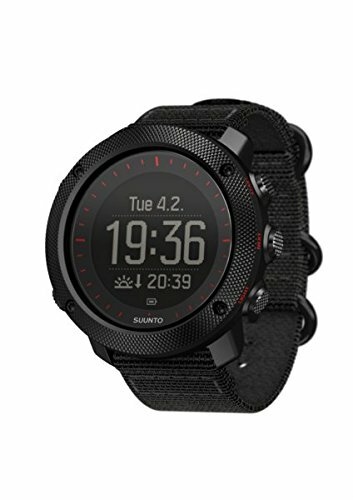 The watch also connects wirelessly to your smartphone and works collaboratively with the Suunto Moveescount App to make adjustments and provide visual feedback. The Ambit3 Peak also comes in a selection of two options, one with a Heart Rate Monitor version or one without this feature. It provides an impressive 30 hours of battery life and has a 5-sec GPS accuracy. The watch also has a compass and bike power support via Bluetooth Smart. The Heart Rate monitor version tracks activities and relays speed, distance, and pace information. One of the other impressive features the watch comes with is the ability to take photos mid-movement and create a Suunto Movie out of them to share on social media. The Ambit3 Peak HR watch is ideal for the active individual who wants a solution to track their outdoor activities accurately. It supports the upload of routes with GPS and GLONASS satellite navigation. The watch displays distance progress and altitude statistics. It also has a barometric trend feature to predict the weather. The watch also relays sunrise and sunset information. It has a battery life of up to 100 hours. The watch supports smartphone connectivity. The Traverse timepiece is an ideal companion when trekking out in the wild. It comes with a GPS and GLONASS satellite navigation feature with POI navigation. The watch also provides a breadcrumb view enabling you to backtrack if necessary to find your way back. It tracks altitude, speed, and distance, and the heatmaps feature allows you to explore new routes. 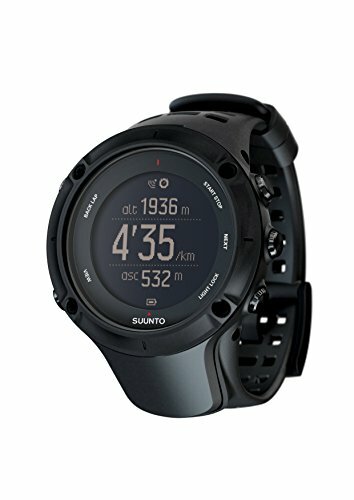 It supports smartphone connectivity and works with the Suunto Movescount App. The Traverse features rugged construction with a stainless steel bezel, and it’s water-resistant up to 300 feet depths. It also provides information about weather trends with alarms for sunrise and sunset times. Some of the other handy features includes are a compass, a backlight, GPS time update, vibration alarm, steps and calories activity tracking, and mobile notifications. You can also transfer saved data wirelessly to your smartphone and convert them into a Suunto movie. Who Should Buy The Watch? The Traverse is an ideal choice for the outdoor adventurer who takes on hiking and trekking trails. It also performs decently as an activity tracker providing details about steps and calories burnt. It features a rugged stainless steel bezel. The straps of the watch are water repellent. It features an automatic shot detection. The timepiece can also map GPS coordinates. An automatic breadcrumb trail guides navigation. It also features a location-based moon phase calendar. The watch has been tested against Military standards. The Suunto Traverse Alpha watch combines a quality build with a full set of outdoor-based features. It can map out GPS routes to your precise location, and it also comes with a GLONASS navigation feature. It’s also bundled up with fishing and hunting specific features including automatic shot detection, sunrise/sunset alerts, a moon phase calendar, weather trend alerts, and a red backlight. It also comes in a sturdy construction and is water resistant up to 100-meter depths. Its glass case is fiber reinforced with a stainless steel coated, knurled bezel. A Li-ion battery powers the watch providing 14 days of use in time mode and 10/15/100 hours in GPS mode. It also features radio communication via Bluetooth Smart. The Traverse Alpha is the ideal watch for fishers and hunters, and it comes with all the features needed to assist with these activities. 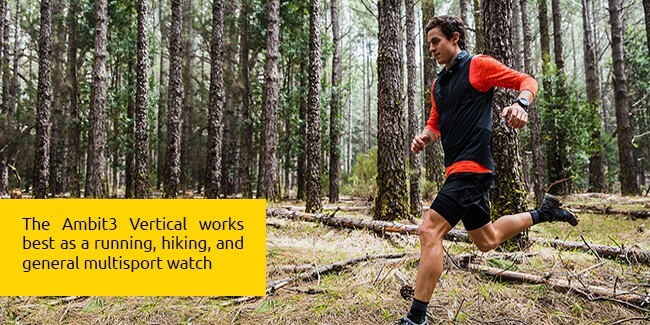 All three of the Suunto sports watches are worth the investment as companions for your outdoor adventure. It doesn’t hurt that they support smartphone connectivity and come with handy features like GPS navigation, weather trends feature, an altimeter, barometer, and they are also water resistant. In essence, they are well-built and offer exemplary performance making them worthwhile investments. However, they individually come suited for different outdoor activities and narrowing down on the right one is just a matter of what features you want out of a timepiece. That means go for the Ambit3 if tracking your fitness activities is your goal, the Suunto Traverse as an outdoor navigation timepiece, and the Traverse Alpha for hunting or fishing activities.